Meyer Design can offer the custom home clientele full design services with a specialty in sustainable residential design. Services can begin with advice on site selection and continue through completion of construction. 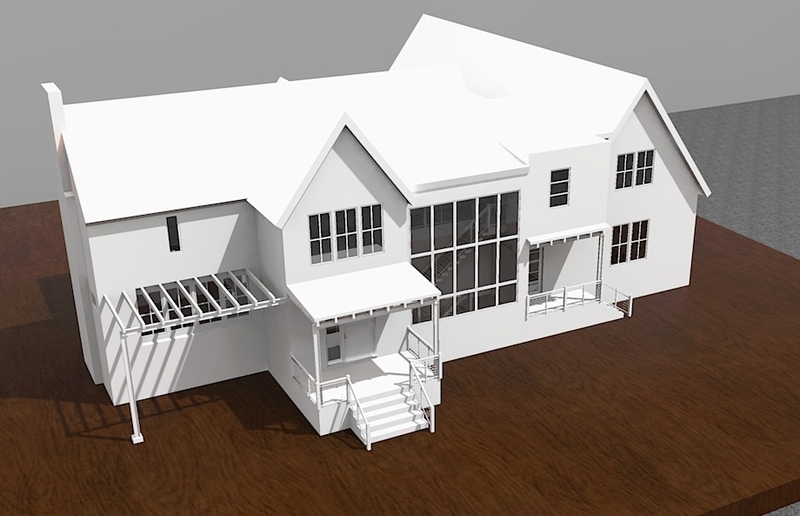 Our architects will provide conceptual design ideas, sketches, CAD drawings, construction documents and specifications. We can also assist in bidding, selecting a quality contractor, management of the construction up until you move in to your new home. Fees will be determined and fixed prior to starting the design process. Our first meeting is always complimentary at which time you will get to know us, our process and see some recent projects. Our fees are based on an initial meeting with you to review the project scope and your design preferences. We strive to design your home in a way to save you more during construction than our fees and expenses will typically add only 1% to 2% to hard construction costs of your new home. This is far less than you would invest in a realtor to help you find a home that was not designed specifically for you, your family and your lifestyle. Meyer Design began in 2004. Our emphasis is on the design of custom homes with a specialty in affordable construction without sacrificing architectural detail. Our designs have been showcased in the Luxury Home Tour, Cavalcade of Homes, Gallery of Homes, Naperville Magazine, Glancer and Fox Valley Magazine with numerous awards including Best Home Design & Best Overall Home. Meyer Design offices are located in Naperville & West Chicago, Illinois. We work on design projects throughout the state and frequently work with clients living in other parts of the country and even over seas. Working with fewer clients a year insures our clients receive personalized attention. Please call, e-mail or stop in to discuss your project in more detail.